Chamilia presents this beautiful Starry Eyed stacking ring, crafted from sleek sterling silver featuring delicate clear crystals. Wear alone or stack with other rings to create a style that's totally unique. Size XL. Inspired by your personal sense of style, Chamilia jewellery is as unique as you are. 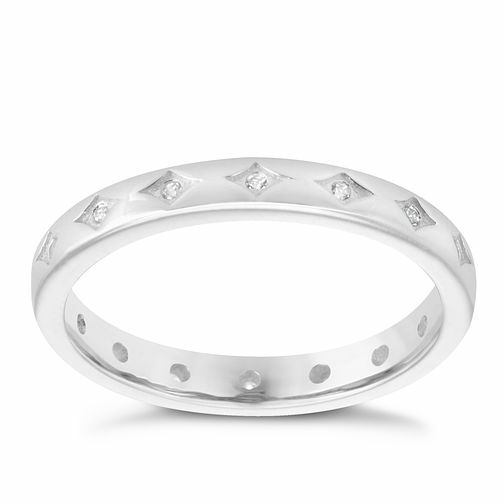 Chamilia Sterling Silver Starry Eyed Stacking Ring XL is rated 5.0 out of 5 by 1. Rated 5 out of 5 by Anonymous from So pretty Brought this ring with my birthday vouchers I had asked for and I love it. It’s so pretty.